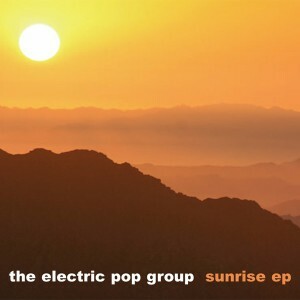 Brilliant Matinée debut from popular Swedish band The Electric Pop Group. The quartet astonished everyone late in 2006 with a self-released debut album that came out of nowhere to make numerous year-end lists and earn countless favorable reviews including comparisons to legendary bands on Creation Records (Razorcuts, Primal Scream, The Pastels, Jesus and Mary Chain) and Sarah Records (The Sea Urchins, Another Sunny Day, Brighter, and The Field Mice). As one of many indie record labels that took notice, Matinée made contact with them just as they started work on new recordings last summer and this EP is the first fruit of those sessions. Especially notable given the band’s name, this EP also marks the addition of acoustic guitars to their repertoire. The EP kicks off with ‘I Could See The Lights’, an incredible tune and one of the first new songs the band recorded following the success of its debut album. Guitars jangle, drums pound, keyboards chime…the song simply shimmers and will serve as a perfect summertime anthem even in the face of less agreeable weather. It demanded to be released as a single so here it is! In addition to the lead track, the EP features three glorious additional songs: ‘This Is The Town’ is another chiming A-side, an infectious song that features prominent keyboards as the perfect counterpoint to three glistening guitar parts. ‘Summer’s Day’ is a showcase for the newly added acoustic guitar, a fragile song that is similar to and every bit as poignant as the classic track ‘For Always’ by Razorcuts. Finally, ‘Come And See Me’ employs keyboards to great effect, creating a mesmerizing and soaring hit that is an especially lovely way to end the EP for sure. On this release, the band takes its sound—described by one esteemed music writer as “both studiously retrospective and thoroughly contemporary”—and expands it with added instrumentation and superb songwriting. The result is a modern indiepop classic and another sparkling addition to the Matinée discography. The Swedish quartet are back with this EP after gaining a lot of attention due to their self-released debut album in late 2006. If they’re going to be successful anywhere it’s going to be here in Scotland. Earning themselves countless favourable reviews and comparisons to Glasgow based Creation records favourites including Primal Scream, Razorcuts and The Pastels. It’s not difficult to hear why. First track ‘I Could See The Lights’ is a perfect shoegazing melancholy love song with jingle jangle guitar sounds. It wasn’t until this EP that the band decided to add something unplugged to their repertoire, it’s with ‘Summer’s Day’ that they decide to showcase the new addition of the acoustic guitar. It ties in beautifully and only adds to their sparkling sound. Finally, ‘Come and See Me’ is the perfect ending as it combines lush layers of keyboard and warm toned reverb with singer Erik Aamont’s nonchalant singing style this is a Woodside Social, National Indie Pop League classic in the making. The Electric Pop Group have gained many comparisons and I don’t disagree. There’s definite hints of Jesus and Marychain and Belle and Sebastian (along with the aforementioned) and they deserve to be held in such high esteem, however I think this is a band that will stand alone after a few more years honing their shoegazer talents. --Is This Music?